Following the success of previous Critical Writing workshops, a new edition will take place during Sonic Acts Festival 2019, from 21 to 24 February. The workshop is hosted by Arie Altena with support by Katía Truijen, as well as guests from different journalistic fields. Focusing on specific aspects of writing as a craft (language, style and focus) and how to shape the argument or perspective of a piece, participants will convene together in commissioning meetings, and receive one-to-one feedback on all work produced during the festival. The workshop focuses on developing writing skills, and all writers who complete text will have their pieces published on the Sonic Acts blog. 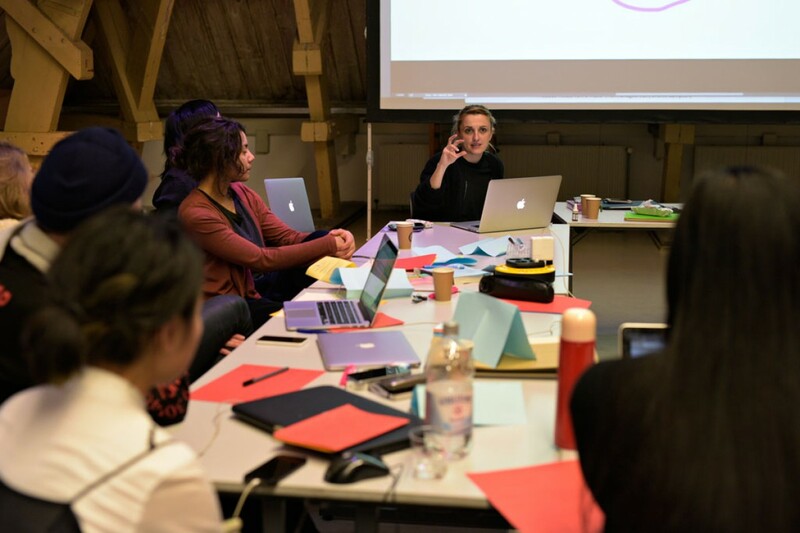 The Critical Writing Workshop this year will focus on the different critical modes that can be used to write about, describe and discuss art, theory, sound and music, while thinking about how to package ideas. Participants will cover the conference, performances and other events during the festival, and have a chance to interview artists and theorists. To apply for one of the workshops, please send your motivation and CV to workshop[at]sonicacts[dot]com. Participants pay a contribution of €60 for the Critical Writing workshop. The deadline for applications is 1 February. This workshop is a co-production of Sonic Acts & Paradiso and part of Re-Imagine Europe, co-funded by the Creative Europe programme of the European Union.